Digital Printing has revolutionised the way modern printing is done. No longer is it necessary to have expensive films and plates to produce a print job. Printing is direct from file, with near litho quality. Digital Print is more suited to short run, quick turnaround work like Business Cards, Letterheads, Invitations, leaflets. Please look through the site to view pricing. Please contact us if there is a product you need that is not mentioned. You can order Digital Printing by raising a ticket with the Help Desk, and our assistants will help you. The Help Desk assistants will organise payment for you. Our design studio can produce artwork for your digital business cards from only £22.50! Printline Advertising is a digital printer in Leeds. 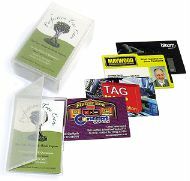 We have been printing business cards in Leeds since 1999.